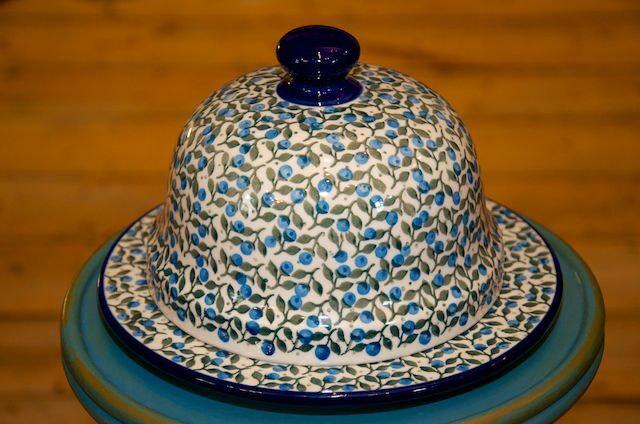 Decorated in Blue Berry Leaf design. Dimensions of dome 12cm high x 16.5 cm diameter (bottom). Saucer 21.5cm diameter with a small lip to secure dome.